Hannah’s Child, by Stanley Hauerwas, which I reviewed in the previous post, is one of those books I could not read without a pencil at hand, to mark spots I especially enjoyed with a tiny check mark in the margin, rather like notching a tree, I suppose, in case I wanted to come back and look again. Here’s a quote or two from those markings. Yoder forced me to recognize that nonviolence is not a recommendation, an ideal, that Jesus suggested we might try to live up to. Rather, nonviolence is constitutive of God’s refusal to redeem coercively. 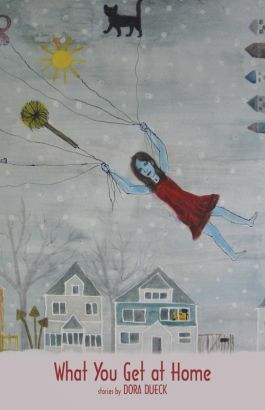 To say that our lives are contingent is to say that they are out of our control. Being “out of control” is the central image that runs through The Peaceable Kingdom and much of my work… the image came to me because of the influence of Yoder, who taught me to think that following Jesus means you cannot anticipate or ensure results. Learning to live out of control, learning to live without trying to force contingency into conformity because of our desperate need for security, I take to be a resource for discovering alternatives that would otherwise not be present. What it means for me to be a Christian and to be a friend has become so intertwined that I cannot untangle one from the other, nor do I wish to. I have learned… that the patience and time it takes to build and sustain institutions like the church and the university are themselves an alternative to war. We are complex creatures constituted by contradictions we refuse to acknowledge. The novelist must help us see our complexity without providing comforting explanations…. Reading novels will not necessarily make one better able to see without illusion, but it can help. In 2001, TIME magazine named Stanley Hauerwas “the best theologian in America.” Hauerwas found the designation absurd, he said, responding that “‘best’ is not a theological category.” But there it was, he was thus named, and he was famous. “[B]y writing I learn to believe,” Hauerwas also says, early on in the book. One feels that he is doing that with the topic of his life as well, picking his way as truthfully as he can, reaching some understanding as he goes about who he is and who he has been. This awareness of what he’s up to in writing seems a figure of one of Hauerwas’ key contributions as theologian: the expression is the belief. His work, he says, “was to demonstrate the link between the truth of what we say we believe and the shape of the lives we live.” He doesn’t consider “belief” of much value detached from what we do. 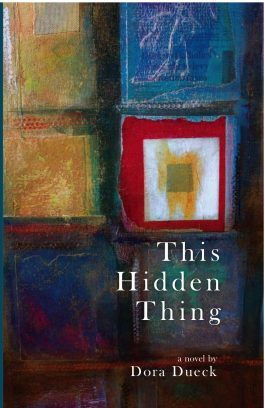 For a while, as I read, I jotted down every time I came across a phrase something like “I had no idea” or “I am not sure” or “it never occurred to me” or “I did not understand.” They are frequent, and one might get the impression from them that Hauerwas bumbled through life, knowing very little of anything. Not true, but they do express his sense of being an outsider, of life’s surprises, and of his debt to others for that which he’s been able to learn and teach. He expresses his gratitude easily — for his friends, his son Adam, his second wife Paula. His first marriage, to a woman who was mentally ill, was difficult, and there have been other conflicts along the way. Some of these wounds still seem raw, at least judging by how he nurses them in these pages. One looks to life writing, however, not for perfection, but for honesty and grace. And there’s plenty of both evident here. I found myself challenged by Hauerwas’ life, and was fascinated by how he works at describing what it means to be him. What it meant first off, as his mother with her “white-trash energy” informed him, was to be the answer to her prayers. She had married late and like the biblical Hannah, she was desperate for a child. 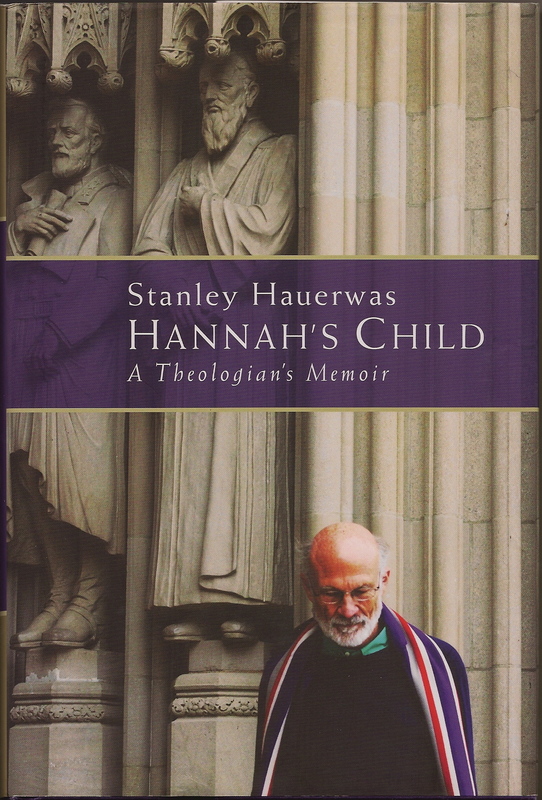 Mrs. Hauerwas prayed a prayer like Hannah’s and was also given a son. He wasn’t thrilled to be told, as a youngster, that he was “destined to be one of God’s dedicated.” It was fine for her to pray the prayer but did she have to tell him about it? Along the way, of course, being him meant a lot more than that, but in the end, Hauerwas comes back to his mother’s prayer, and himself as its answer. However, I am quite sure, strange servant of God though I may be, that whatever it means to be Stanley Hauerwas is the result of that prayer. Moreover, given the way I have learned to think, that is the way it should be.